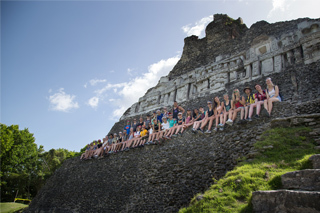 Travelling through Belize and Costa Rica to see, first-hand, some of the world’s most diverse ecosystems and biology is the perfect way to make beaches, rainforests, and reefs your classroom as you earn your senior English and Biology courses. Snorkelling Shark Alley, zip-lining through rainforests, trekking through jungles, hiking volcanoes, and swimming the coastlines of Central America make this program an outdoor adventure infused with scientific exploration and learning. My experience with the MEI backpackers trip was nothing but fun. The teachers made the lessons engaging and entertaining. They were constantly applying real life situations that were relevant to what we were learning. When we weren’t studying, we were out doing unique and special activities. Many of the activities that you will do, whether it be going to Mayan ruins, snorkelling, or zip lining, will be long lasting memories that will no doubt be one of the highlights of your trip. Before they travel abroad, students commence their high school credit coursework with teachers and classmates in Toronto. Here, we conduct our first biology lab and review foundational course material before setting off for Belize. 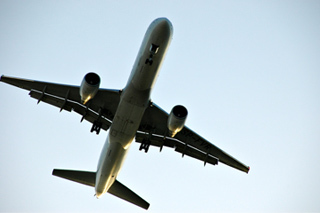 This preparation allows us to dive straight into the adventure that awaits us. A sandy pathway through the centre of town leads students to a harbour flanked with boats, waiting to take them out to one of the most extensive coral reefs in the world. Caye Caulker offers students the chance to study unmatched aquatic habitats, including a vast range of tropical fish, stingrays and sharks. It is an ideal locale for the class to explore theories on evolution and biochemical adaptations. Additionally, our morning workouts introduce students to the benefits of physical activities such as yoga, handball and Frisbee. From the town of San Ignacio, options abound for exploring Belize’s scenic inland wonders, from the Mayan ruins to the Actun Tunichil Muknal caves. Students engage with archeologists as they discuss the cultural importance the caves hold for locals, past and present. This tranquil setting affords the time to reflect on ancient Mayan texts and modern literature, as well as debate complex topics such as human genetics. Next, students travel the coastline to Placencia, where they reside along a dazzling stretch of white beach. Here, research topics include one of Belize’s largest conservation areas—Cockscomb Jaguar Sanctuary. After enjoying refreshing swims and waterfall baths, students use the environment as a wellspring for creative writing. During dinners, students engage in book chats and storytelling lessons, and also flush out biology related debate topics. From Belize, students travel to La Fortuna in Costa Rica. 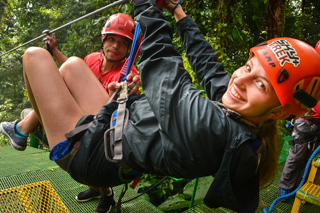 Located at the base of the Arenal volcano, students enjoy daily adventures such as zip-lining through tree canopies, hiking the mist forest, and testing out the natural hot springs. These activities are balanced with studies that focus on the nature of the human body, and the reproductive process. In the English course, students refine their writing skills in master classes during the cool evenings, which are often enhanced by tropical storms and impressive lightning shows. In Monteverde, which means “green mountain,” students reside in an ecolodge built in a cloud forest. Here, we have access to a state-of-the-art on-site lab to test samples collected from the surrounding environment. 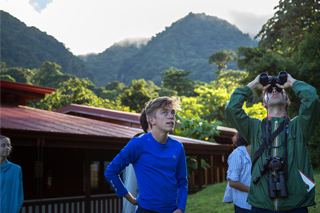 In this remote location, students connect with the local ecology and participate in research, service work and night hikes. 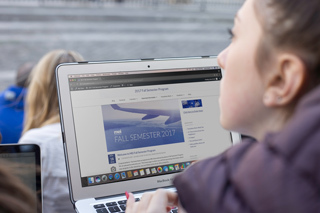 These activities are integrated into the coursework so that students can find a balance while completing their research-based assignments. 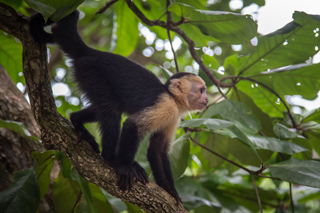 The final stop on the students’ journey abroad are the rainforests of Manuel Antonio’s spectacular National Park. Using this tranquil locale as a backdrop, students decompress and reflect on their learnings and their adventure, while preparing for their Independent Study Units and exams. Our last day is spent beachside, before celebrating together over a final banquet dinner.